Padded pistol case features 10mm thick padding. Unit is 6.5x4" inside size and has a heavy duty zipper closure. A tickbitesupply product. 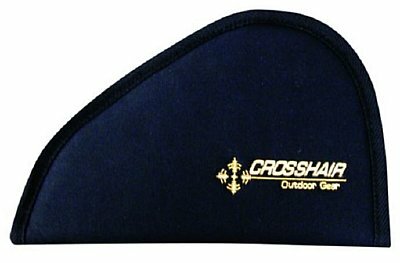 Padded pistol case features 10mm thick padding. Unit is 9x6.5" inside size and has a heavy duty zipper closure. A tickbitesupply product. Padded pistol case features 10mm thick padding. 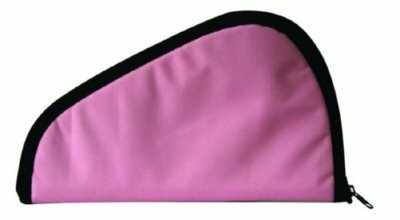 Unit is 12x7" inside size and has a heavy duty zipper closure. A tickbitesupply product. 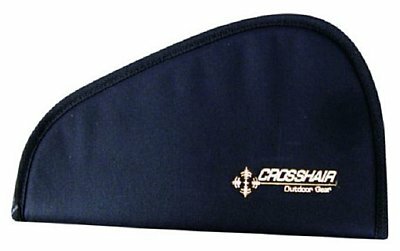 Padded pistol case features 10mm thick padding. 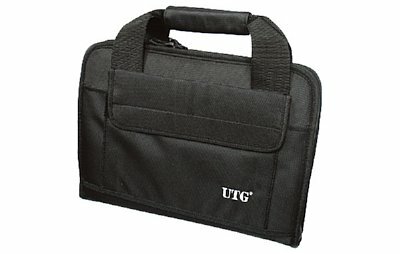 Unit is 14.5x7" inside size and has a heavy duty zipper closure. A tickbitesupply product. 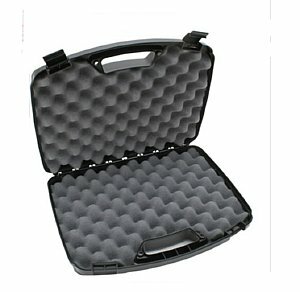 Case Gard Single Handgun Case is well built with plenty of room to store your weapon, unit has thick foam padding to protect your pistol. Another David's Collectibles best seller. Made in the USA. 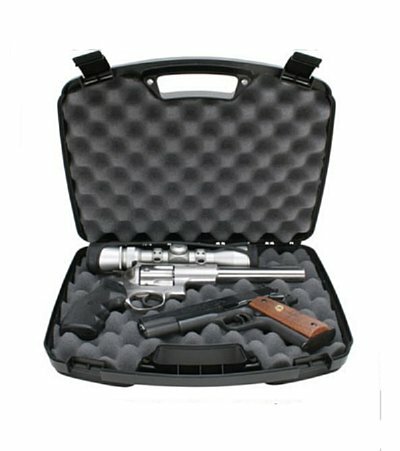 This roomier pistol case is for automatics, revolvers and scoped revolvers with barrels up to 6". There is also room for a trigger lock or padlocks (not included) and the case is pad lockable. 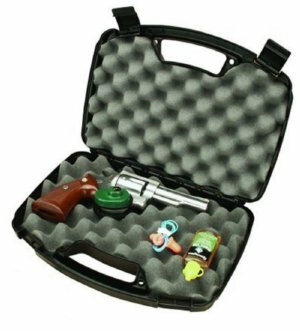 Outside Size: 13.1" x 9.7" x 3.2"
Inside Size: 12.5" x 8.1" x 3.0"
Great large size pistol case handles multiple pistols, and protects them with outer hard shell and egg shell foam padding on the interior. Handles revolvers or automatics with barrels up to 8"
This is one of our longest production runs in our pistol case line. There is a reason, it works. 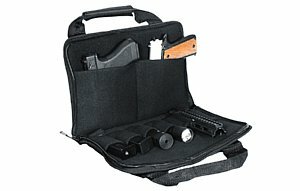 This great case is built tough, it has storage for 2 handguns as well as your accessories and exra mags. Heavy material assures years of hard use. Another David's Collectibles great item. 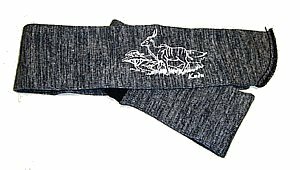 RMS Rifle/shotgun sleeve, grey in color with Kudo Print. 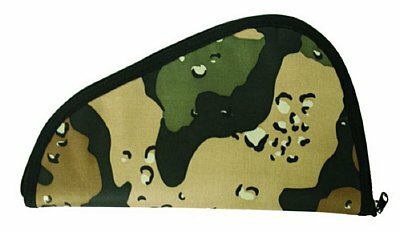 Cover is Silicon treated to protect your weapon in transport or storage. Made in North Carolina, USA. Sleeve is 52" long. Factory promotional SALE, retail at 19.99, stock up now, buy several, save at David's Collectibles! RMS Rifle/shotgun Sleeve, Gray w/ Zebra Print. Cover is silocon treated to protect your weapon in transit and storage. Made in North Carolina, USA. Sleeve is 52" long. Factory promo pricing, retail is 19.99, now is the time to stock up and save at David's! Just what you need to protect those valued firearms. Protective sleeve does so much more than just protect your rifle from bumps and bruises. This RMS product is silicon treated to protect your weapon in even the worst of conditions. Sleeve is made in the USA and is 52" long! Military Contract Overstock Blow Out! M-4 Expanded stock Cover, Tan, Sand proof, silicon treated, keeps metal components corrosion free.